Claire Brown Kaiser passed away peacefully and without regret to be with our Lord and her husband and daughter on October 27, 2018. She was 86. Born in Philadelphia in 1932 to Charles and Caroline (Liebrecht) Brown, she grew up in Philadelphia, PA.
She attended Girl’s High in Philadelphia and later graduated from University of Pennsylvania’s Wharton School in 1954. At that time, she was one of a very small number of women to have enrolled in and graduated from the Wharton School, an achievement she was very proud of. Claire worked at N. W. Ayer Advertising for a number of years. She and her family spent most of their summers in Ventnor, NJ where she met John “Rex” Kaiser. They married in 1958 and lived in Wilmington, DE the rest of their lives. Rex and Claire had five children and spent most of their summers in Edgartown, MA on their sailboat “Claire.” Claire thoroughly enjoyed her life! Her marriage to Rex endured and constantly grew to new heights. They both truly adored each other. They raised their children to cherish and respect each other as well as everyone they met and were shown how to relish every moment we had together. As a family they took numerous ski trips to New England and the Poconos and visited the Jersey Shore as well as sailing the Chesapeake and much of the east coast. 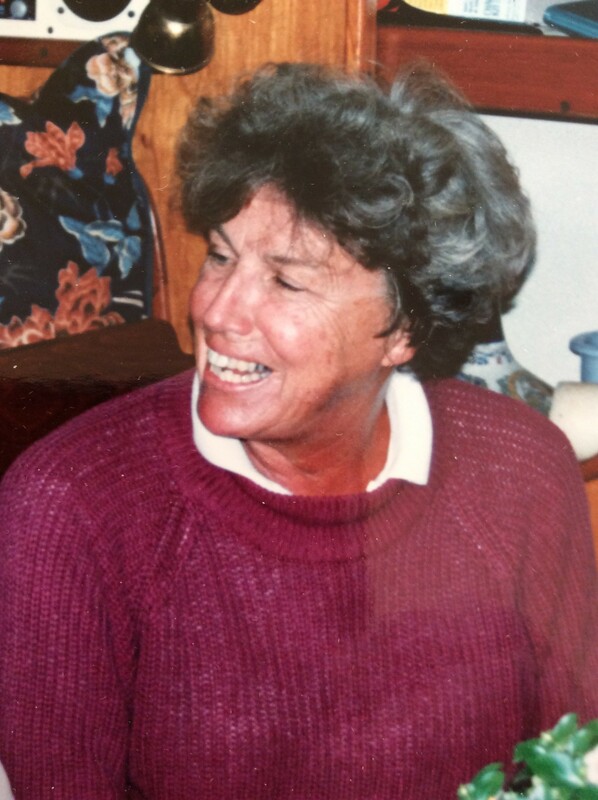 Claire loved skiing, sailing, riding horses, playing cards and gardening. She became very involved with the Barnes Foundation in Philadelphia where she studied horticulture for a number of years. During their early married years, she was very involved with the Wilmington Junior League where, among other things, she produced and performed multiple puppet shows with Rex and their dear friend Jack Horty. Claire and Rex cherished their many friends in many places. Their annual St. Patrick’s Day party never disappointed! Claire is predeceased by her husband and daughter, Annette Kaiser Voorhes, brother Charles Brown, Jr. and his wife Sara and nephew Charles Brown, III. Claire is survived by her son John Jr. who was caretaker for her and Rex during these past six declining years. She is also survived by son William Kaiser of Manchester, MA, son David and his wife Jenn Kaiser of Mattapoisett, MA, daughter Aimee and her husband Paul Satterfield of Donegal, Ireland and niece Catherine and her husband David Heckman of Blue Bell, PA. She had eleven grandchildren. Mass of Christian Burial will be offered at St. Joseph on the Brandywine Church on Monday November 12, 2018 at 10:30 am where friends may visit beginning at 9:30 am. Burial will follow Mass in the adjoining cemetery. Claire and Rex supported many different charities and non-profit organizations. In lieu of flowers, their family asks that you make a contribution to the Alzheimer’s Association (act.alz.org) or to your favorite organization. Visitation will be at St. Joseph’s on the Brandywine on November 12 at 9:30 with a funeral mass immediately following at 10:30. Claire and Rex supported many different charities and non-profit organizations. In lieu of flowers, their family asks that you make a contribution to the Alzheimer’s Association (act.alz.org) or to your favorite organization. Dave, sorry to hear about your moms passing. She sounded like a remarkable person. My sincere condolences on the loss of your dear Claire. Prayers & hugs for strength during these difficult days ahead. John, you and your family are in our thoughts and prayers. From the day I met her at Paul and Aimee’s wedding, to the numerous times I saw her at the Dilworthtown Inn, Claire was a bright light as an individual and in the company of others. A very warm and lovely soul. She will be missed, but remembered fondly by all who were touched by her sparkling personality on and about Edgartown Harbor. Love and condolences to all. I have such fond memories of you all in Edgartown ... I always thought it would be such fun to spend the summer in the harbor , and you all did it ! I adored your parents !!! My thoughts and prayers are with you all ! Dave, My fondest memeories of your mother were sharing Girls High stories and watching your parents out dance/party us at EYC and then wake before all of us to go play tennis. Claire and Rex were a force to reckon with! John, sorry for your loss. Fond memories of sailing on Claire. I am truly sorry. I enjoyed your mother and father very much . John, My heartfelt sympathies to you and your entire family on your loss. May all the fond memories that you hold of your mother, console you through these trying times. John & Family: My sincere condolences for the loss of your dear mother. So sorry for your loss. Like many other Junior League of Wilmington friends, I remember fondly your parents generous hospitality, laughter and warm nature. They will be missed! John, William, David, and Aimee, If ever there was a Queen of Edgartown Harbor, Claire was it. She was always the most welcoming person around, inviting me and really everybody to pull-up a chair, share a meal, or otherwise join in a chat and laugh. She took a strong interest in what her kids and their friends were doing and was one most positive influences around. Sending heartfelt condolences to you all. She and Rex are dearly missed. Claire was one of my closest friends. One couldn't have a better friend. She was always there for me in good and difficult times even though I live in Massachusetts & she lived in Delaware. We had so much fun together. I loved helping Rex & Claire cook their famous Saint Patrick's dinner for over one hundred people which they did for forty some years. Summers when I was on the Yacht Clair with them were special. We ate, sang, played tennis and when I walked through Edgartown almost everyone said, "Hi Clair." She knew most everyone and they all knew Claire. We made drapes together, went to the weddings of our kids and got to see each others children grow up. I feel like John, their eldest is a son of mine. I visited Claire twice after Rex died and she was fading but she always opened her eyes and listen to me with a smile. When I left her and when I phoned her she always told me, "I love you." and I told her the same. Claire was special. I'm glad she is at peace now.